It’s important that one of the first things to pay attention to is your baby’s cues. It isn’t difficult to catch them so once you start recognizing your baby’s cues, start using them to your advantage. A cue can be many different things. Some of the most common are heavy eyelids, the glazing of the eyes, yawning and becoming quiet. Take note that your baby’s cues won’t stay same for long and will be changing as he gets older and since it’s impossible to be on the lookout for 24 hrs, don’t become completely dependent on these cues. A sleep ritual is something we recommend to everybody. You can read more sleep rituals here. 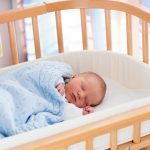 It can start as long as 60 to 90 mins long and slowly reduce the time to 15 to 20 mins once your baby begins to be more aware of the day and night concept. How you plan the ritual is totally up to you and what your baby takes best. A massage, a bath, a lullaby are all excellent ways to create the “sleep mood”. An overall baby routine can help you anticipate when you baby will become tired, thus a consistent meal time is just as important. A newborn will need to be fed every 2 to 3 hrs and although feeding on demand is best, try to keep the time between feeding as consistent as possible. 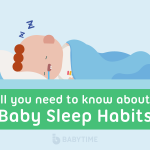 It’ll take time before your baby is able to have a life pattern similar to adults so be very patient and gradually decrease your baby’s nap time and increase night sleep time. Your baby can’t talk to you but he can interact with you. It’s the only way he can communicate to you. Your baby is thinking and also instinctively trying to tell you something. This is a very important factor in development of communication. This interaction your baby is trying to help with you helps him learn the difference between night and day. When you have play time with your baby during the day and spend more time interacting with your baby, he will learn that day is when you can play and night is when you sleep, when there is less interaction between you and the baby. Nobody is born with an “internal rhythm” that makes them feel awake during the day and sleepy at night. It takes at least 3 to 4 weeks after birth for a baby to get of sense of it. And this will only happen with a parent’s guidance. A healthy internal rhythm will carry into adulthood so it’s crucial for parents to make at least a rough baby routine. Any questions you have about baby care? We can help you just comment below!